Do You Trust Square Stand or Do You Prefer to Pay Conventionally? Technology is now making it easier for businesses to accept payment. Instead of sliding your credit card through a standard reader, you can now slide it through Square or Square Stand, a device connected to an iPad. Do you have trust in paying this way or would you prefer to pay more conventionally through a standard reader? 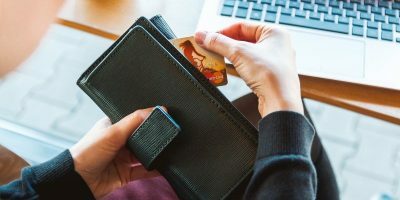 The point-of-sale Square may have only originally been available in small single-owned shops and stores, but now it is beginning to become available with larger retailers. Whole Foods recently announced a switch to Square Stand at its speciality food and beverage counters to allow you to pay for your purchase with your mobile phone. This is similar to what’s already in place at many Starbucks locations. This is also after a big retailer like Target was caught in a situation after many of their shoppers’ credit card information had been stolen after using a conventional card reader. The timing might be just ripe enough for a new solution like Square Stand to be implemented. As a consumer do you trust technology when it comes to your finances? Is it pushing it too far for you to slide your card through a device hooked up to an iPad? Does using an Apple device push your limits of credibility? Or does it make you feel safer to pay through a much more modern means? Why Do Service Websites Need Payment Info for Free Trials? 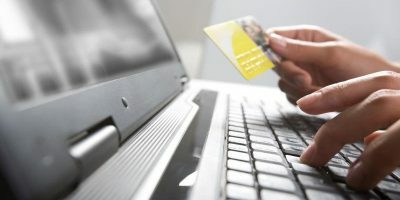 Are Online Payments Safer with One-Time-Use Debit Card Numbers? Should Twitter Users Bear Responsibility for What They Post? How Do You Safeguard Your Online Logins? Do You Prefer Personalized Ads? How Do You Handle SPAM Email?